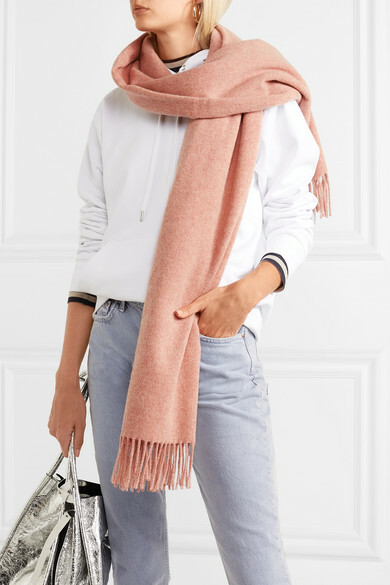 The antique-rose shade of Acne Studios’ 'Canada' scarf is softened with a mélange of beige and sand yarns, so it's perfect if you're looking to shake up a monochrome wardrobe. 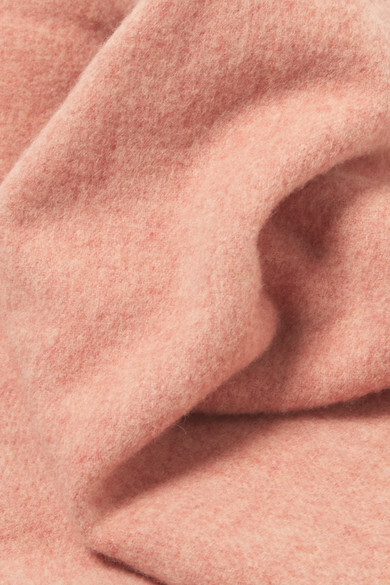 It's been knitted in Italy from wool in an enveloping size that's sure to keep you cozy even on the chilliest days. Shown here with: Helmut Lang Hooded top, GRLFRND Jeans, Proenza Schouler Tote, ATP Atelier Slippers, Jennifer Fisher Earrings.